When big news breaks, newspapers are a hot commodity despite the immediacy of online news. 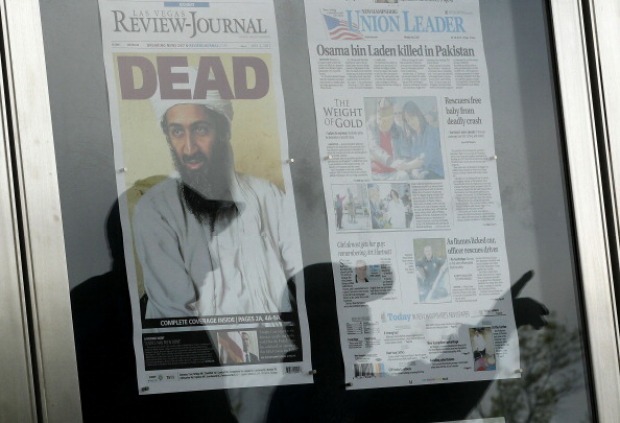 The Newseum’s website crashed Monday as thousands of people looked to see how newspapers around the world handled coverage of Osama bin Laden's death. The website posts digital replicas of front pages of hundreds of newspapers every day. Paul Sparrow, senior vice president of broadcasting at the Newseum, said the museum often sees demand for newspaper front pages spike when there are big stories in sports, entertainment or politics. The site was processing more than 2,800 requests per second when it crashed, he said. Traffic started to peak at 3 a.m. Eastern time when Europeans woke to the news. It grew again at about 6 a.m. Although websites allow people to get up-to-the-minute news, readers turn to newspapers because they offer a snapshot in time, Sparrow said. “It reflects an emotional moment in time versus an ongoing story that's constantly changing,” he said. The museum plans to set up a video booth over Memorial Day weekend for visitors to record their remembrances. Curators will create a special exhibit for the 10th anniversary of the Sept. 11 attacks this year. The death of Osama Bin Laden has many flocking to 9/11 exhibits and memorials in the area.